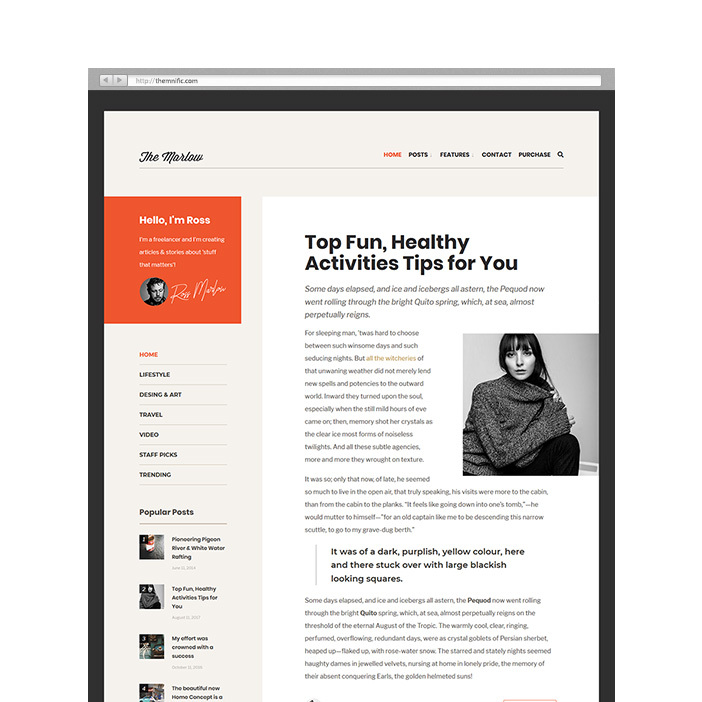 Wilco is a fresh minimalist and easy-to-use WordPress theme developed specifically for personal blog websites. 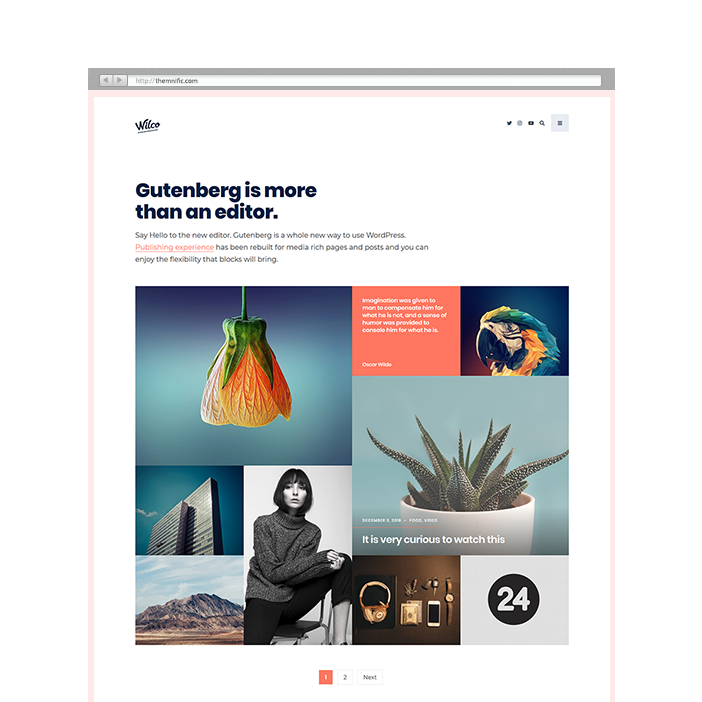 The theme includes masonry layout of the blog template and includes full support for Gutenberg and all native WordPress 5+ functionalities. 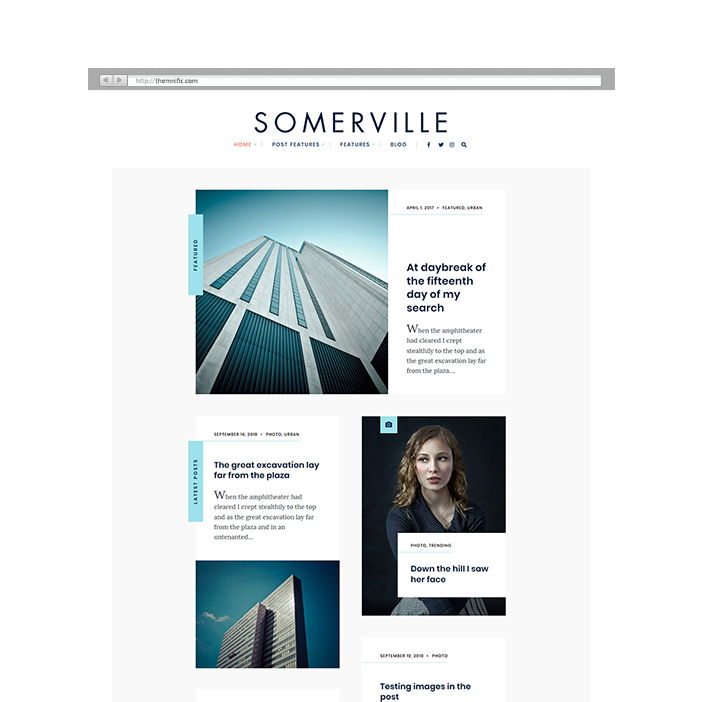 Stand out from the crowd and boost your page performance with Somerville WordPress theme. This bit unusual theme with modern flavor is optimized, coded with site performance in mind and brings full support for all native WordPress functionalities. Theme is compatible with Gutenberg plugin which is a whole new way to use WordPress. Publishing experience has been rebuilt for media rich pages and posts and you can enjoy the flexibility that blocks will bring. 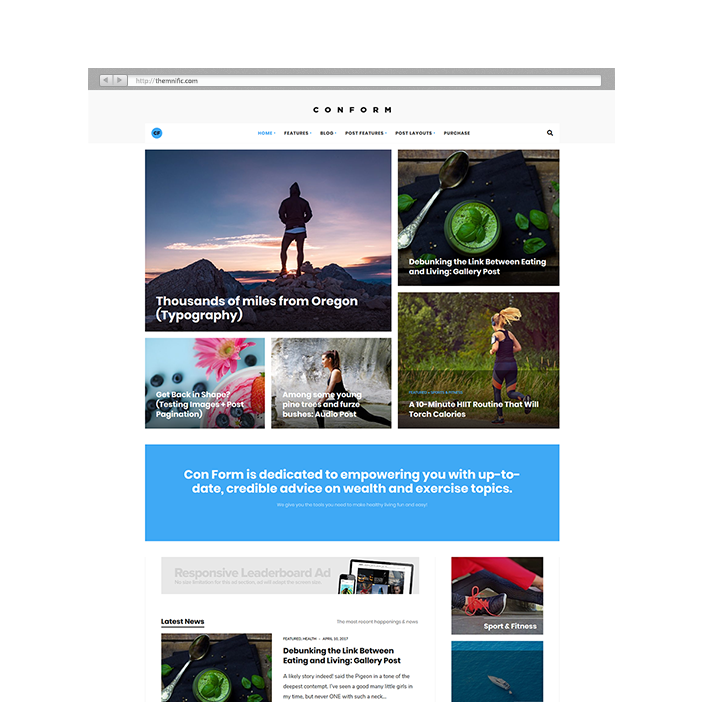 Con Form - a premium healthy living WordPress theme for magazine, news, editorial and blog websites they cover empowering, healthy lifestyle, fitness, diet, nutrition, lifestyle or exercise topics. 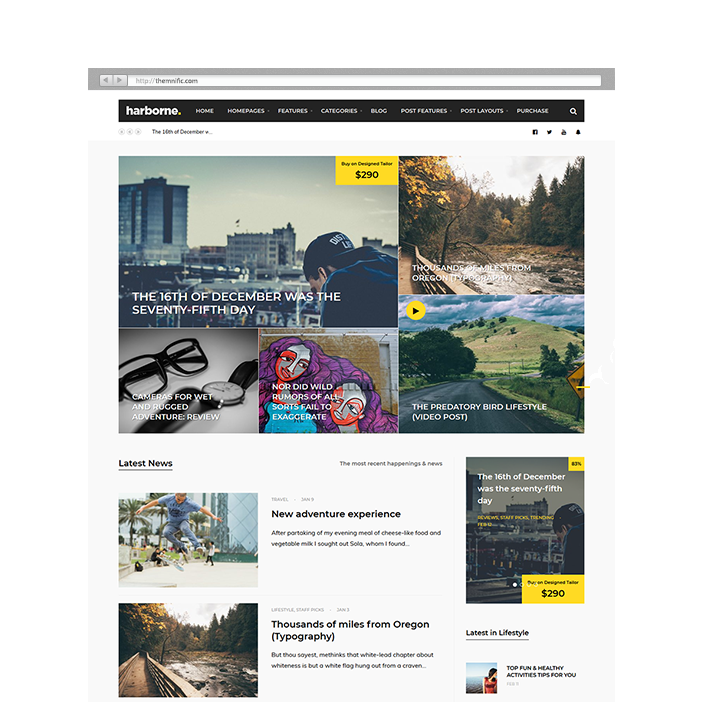 Harborne is brand new magazine theme for your WordPress site. The theme brings all editorial and 'news' features which your blog needs. Full-width slider, unique mosaic featured section and cool magazine blocks of posts will refresh your site and attract new visitors to your online presence.